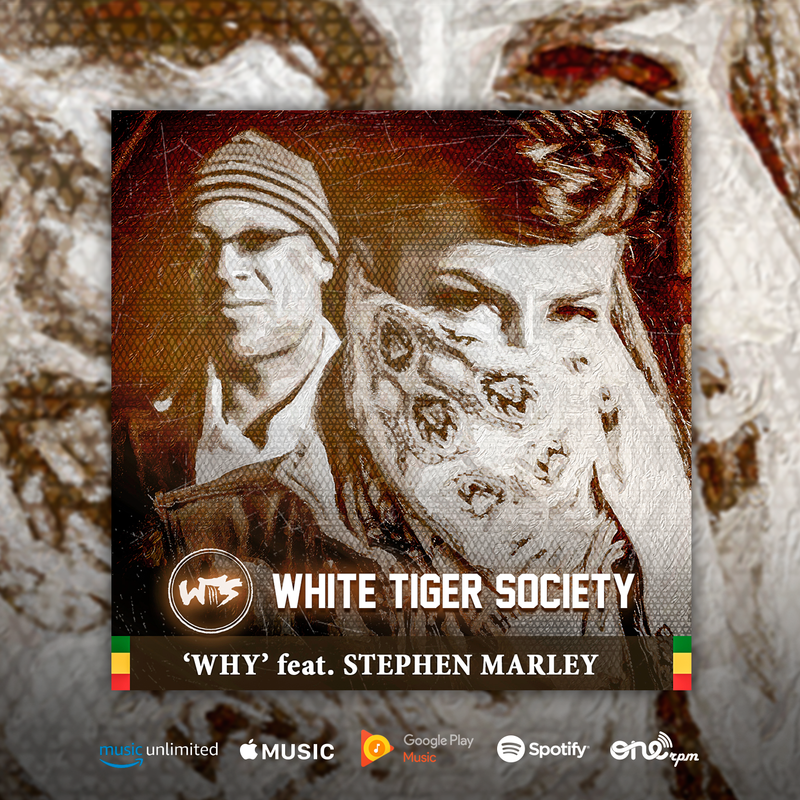 Fusing the sounds of Soul, Reggae, and Hip-Hop, White Tiger Society bursts onto the music scene with a rotating cast of talent led by vocalist and multi-instrumentalist Dajla “The White Tigress” and Grammy Award-winning engineer/producer Comissioner Gordon Williams. It’s a movement with a shared interest in classic songwriting, live instrumentation, and solid production made evident on the official debut single “Why” featuring Stephen Marley. The track is from the forthcoming debut album, Sound of the White Tiger, to be released on September 15th via Lalabela Music Group. "White Tiger Society is a union of reggae, heart-felt soulful vocals and feel-good production,” says Dajla. “We bring these various flavors together with a positive message to create our sound. The Sound of the White Tiger.” Williams adds, “Stephen and I have a long relationship in music, going back to the days of The Miseducation Of Lauryn Hill, all the way up to Welcome To Jamrock, on which we worked together, as well as his latest album, The Fruit Of Life. Stephen actually picked ‘Why’ to collaborate with us on, and we are thankful to have ‘Ragga’ as part of the White Tiger family!” Born in France of a Tunisian dad and a French-American mother, Dajla began playing music at the age of 7 inspired by her parents' Soul, Jazz, Reggae, and Blues record collection. Armed with keys, bass, and vocals, she has made her way through the music scenes in France and the UK while seeking inspiration in central Africa. Dajla has released two albums and an EP to date. She has shared the stage with the likes of Angelo Moore from Fishbone, Nneka, De La Soul, Sa-Ra, & The Brand New Heavies and currently resides in New York City. Comissioner Gordon Williams’ impact on popular music is undeniable. Dubbed the "Comissioner" (yes, just one “m”) by rapper KRS-One, he experienced the creation of Hip-Hop up close in the Bronx and began DJing & producing. Throughout his career, he has won multiple Grammy Awards including Album of the Year wins for The Miseducation Of Lauryn Hill and Santana’s Supernatural. Additional credits include Joss Stone's multi-platinum Mind Body & Soul, Damian Marley’s Grammy-award winning Welcome to Jamrock, and Amy Winehouse’s debut album Frank. In 2013, Gordon and Dajla met in New York City and through their work, initially as a writing/production team, the White Tiger Society was born.